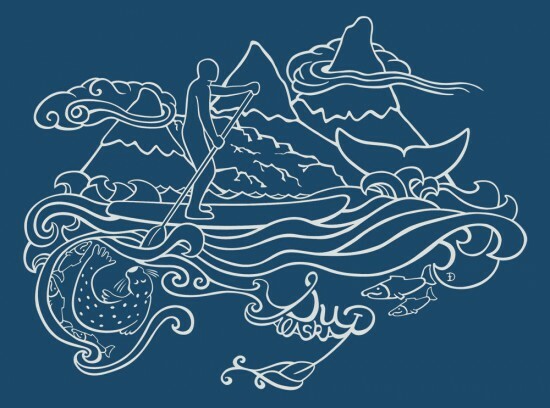 Our first Stand Up Paddleboarding design illustrates the scenic immersion we experience out paddling in the wilds of Alaska. Snow capped mountains, Glaciers, whales, salmon and seals. This design is available in both our classic crew T as well as a swanky organic cotton scoop neck T just for the ladies. Our classic crew shirt is a lightweight and incredibly soft Egyptian cotton from Alternative Apparel. We rarely take these shirts off they are so comfy. And they are wearing very well to boot. 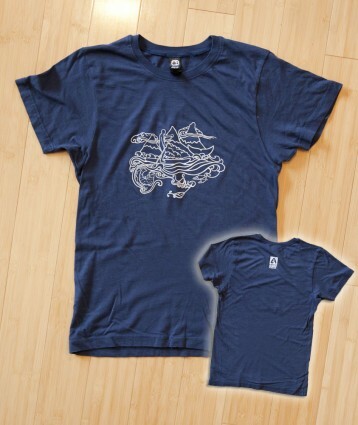 Fit Notes: The shirts are a mens T with a fitted cut that looks nice on ladies and gents. Size chart here. 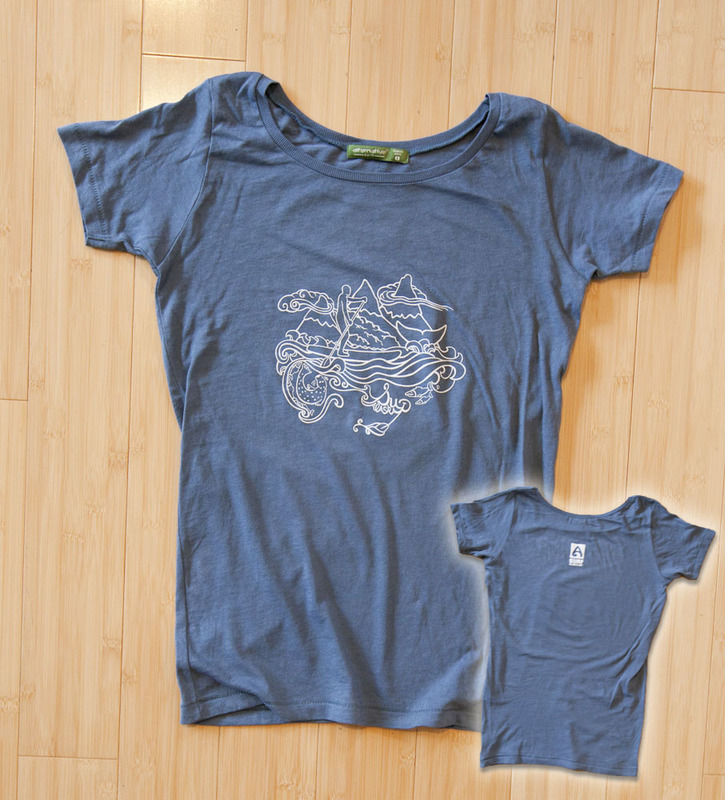 A stylish yet modest scoop neck T made with an organic cotton from Peru. Satin garment washed for a super soft hand. Fit Notes: Women’s regular fit. Size chart here.